» In The Grand Schema of Things: Does Schema Boost Search Rank? The goal of search engines is to deliver the right result to the right user at the right time. To accomplish this, search engines are moving away from purely using keyword search, and focusing more on conversational and semantic search. Especially with the evolution of new technology and platforms, such as Google glasses and driver-less cars, voice search is becoming crucial for engines. Conversational search is only powerful when search engines can understand the meaning behind website content. Schemas provide meaning to your content. Searchmetrics released a study last month that shows over a third of Google’s search results include schema rich snippet data. Interestingly enough, the same study concluded that only 0.3% of websites are using schema markup. First of all, what exactly are schemas and why use them? 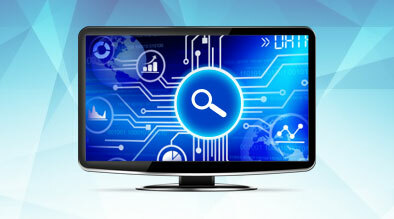 According to schema.org, “On-page markup enables search engines to understand the information on web pages and provide richer search results in order to make it easier for users to find relevant information on the web”. Schemas are html tags that allow search engines to better understand the content and information on websites by categorizing the data. Because search engines have a limited understanding of what the content of a webpage is all about, schema is a way to tell them, “Hey Google (or Bing, etc), this page talks about a hotel near San Francisco Airport offering a ‘park and fly’ package.” Search engines can then apply this information to the intent of a user’s search. Milestone’s content management system (CMS) uses 40+ different types of Schemas, specially customized for the lodging industry. Human vs. Search Engine Eyes: Below is an example of what the consumer may see on a hotel website: a webpage that lists hotel room types, a thumbnail picture of the room, a small paragraph describing the room, and the starting rate. 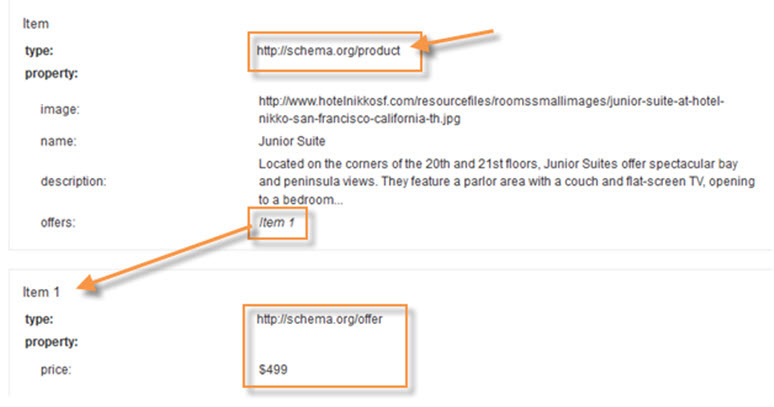 On the other hand, what the search engine sees (with the help of schema tags) is the room type as a product with the offered price as an item associated to that product. There are numerous benefits to using schemas, one being that sites using schema markups are ranking an average of 4 positions higher than those without, as Searchmetrics found in their study. In addition, rich snippets in search results provide users with useful information that can encourage click-through, and they also tend to take more screen real estate, driving links for competitors further down the search results page. As part of its award-winning CMS – GalexiTM CMS 6.0 – Milestone has been implementing schema tags on their hotel websites since 2012. The CMS integrates schema tags into a simple dashboard, which allows users to manage the application, addition, and editing of the most relevant schema tags on hotel websites. Furthermore, the dashboard also tests the site to ensure proper implementation of schema tags and other on-page elements such as title and description tags. 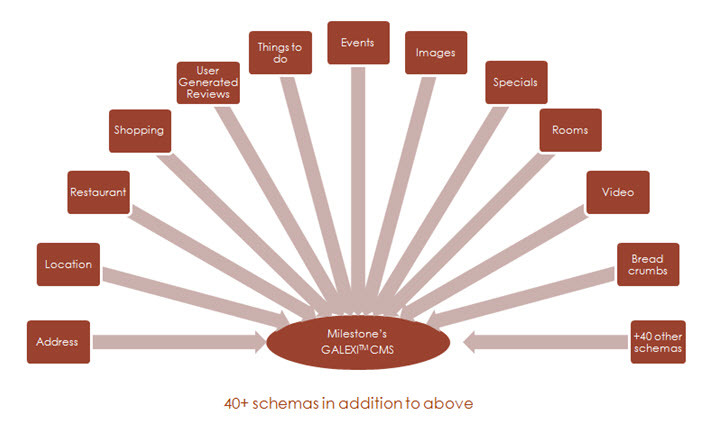 For more information on Milestone’s GalexiTM CMS 6.0, schema tags, or any other digital marketing topics, please contact Milestone at 408-492-9055 or [email protected] or visit our website at www.MilestoneInternet.com.